It wasn't something that was high on the list of questions that needed answering, but The Verge has answered it anyway. Just in case you were wondering whether or not the Motorola Moto X would carry the DROID branding when released on Verizon, the answer is no. It will not be a DROID device. Motorola and Verizon have historically had a very close relationship, and many of Motorola's devices were either exclusive to the carrier, held the DROID branding, or both. But, since Google acquired Motorola, that has begun to change. We've already seen that the Moto X will be brought to multiple carriers. It wouldn't be out of the ordinary for a multi-carrier device to have a specific model for Verizon that carries the DROID branding, but The Verge is confirming that will not be the case. If we had to guess, we'd say that the customization options, and added bloatware of a DROID branded device are the reasons why. But, the relationship between Motorola and Verizon is not dead, because as we've already heard, Motorola does have the RAZR Ultra devices on the way. We don't know much about those devices, but our source has confirmed that the larger DROID RAZR Ultra will carry a 1080p display, while the smaller DROID RAZR M Ultra will have a 720p display. This deal's getting better all the time. I won't get my hopes up with Motorola until I see the goods. Otherwise my safe bet is the Note 3. I would rather be surprised than to be pissed. I learned a nice lesson with the Droid Bionic. that's cool. Motorola needs a unified device branding. 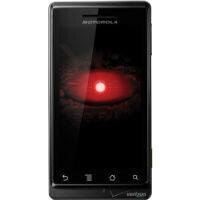 i'm sure Motorola will make sure Verizon has the X and the Droid line going for them. Oh, I know, it's just SOOOOOO awful. It renders the phone completely useless. Not to mention how uncool it is. I don't know how many times I have heard a girl say, "So, like, I met this guy at the club last night, and, like, he was really cute and SUCH a good dancer and I was all, like, totally into him, but then when I went to give him my number, I saw that his phone had a carrier logo on it and I was, like, 'Who do you think you are all trying to put my digits in your sorry little carrier-branded phone?'" To heck with RAM and screen brightness and intuitive UIs and snappy browsers, I WANT NO LOGOS ON MY PHONE!!!!! Good. Maybe Google will have an agreement with Verizon that any and all updates will be handled and pushed directly by them, not the carrier. eh, don't get your hopes up for it. remember Verizon managed to get updates delayed for their version of the Galaxy Nexus each and every time and that was a Nexus device.